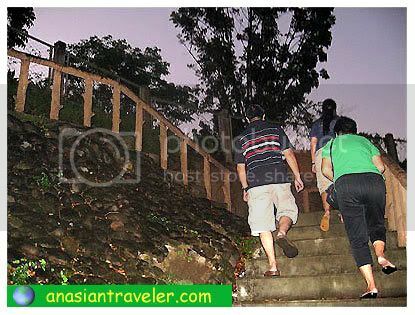 We climbed up a row of stone steps with wooden handrails on both sides to see the Crucified Christ and the Map of Leyte Pilgrim Monument. 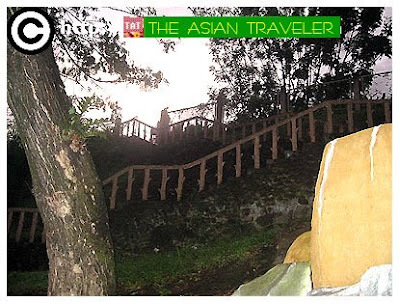 When we reached to the top, we saw the sculpted image of a crucified Christ seen through the map of Leyte. 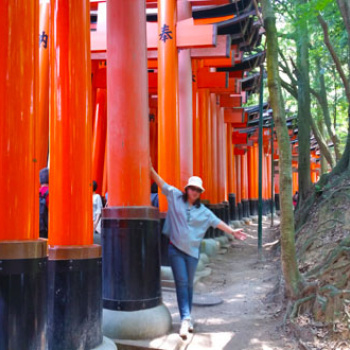 There is a fountain with wishing pond adorned with floating candles and lamp posts. "In 1521, Magellan discovered the Philippines, and held the first mass in Limasawa Island, in 1945 , MacArthur made true to his promise through his words "I shall return". 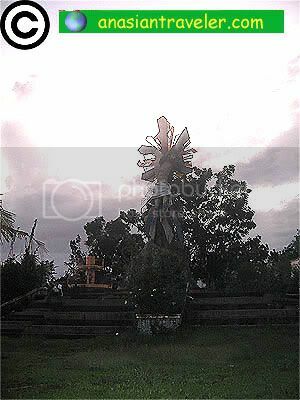 For him to save the country from invaders and set foot on the shore of Palo, Leyte. 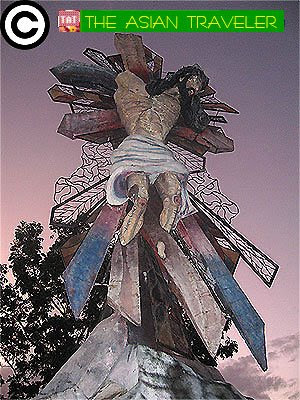 Leyte is indeed blessed for being the gateway to Christianity and the liberation of the Philippines. 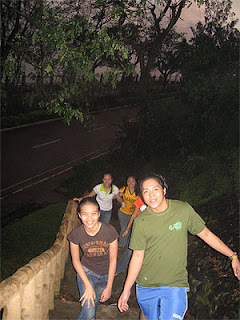 The Lord Jesus must have planned it the people is in search for paradise not knowing that they are standing on a blessed Island, the sculpted image of Christ." 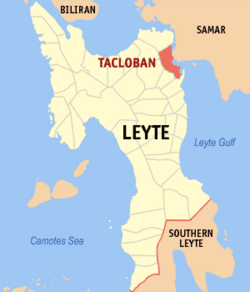 "Upon seeing the map of Leyte, I had visualized an image of a crucified man. 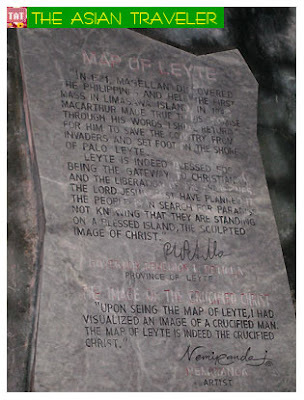 The Map of Leyte is indeed the crucified Christ." 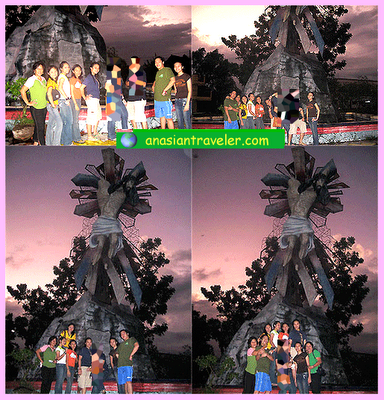 The Crucified Christ and the Map of Leyte Pilgrim Monument is located at Kanhuraw Hill, Tacloban City, Philippines.